1968. Bob Dylan has gone quiet. No tour. No album. Only one single – “All Along the Watchtower” – from a 1967 album. The quiet seemed to drive his fans a little crazy. Dylan had actually spent a large part of 1967 recording The Basement Tapes with The Band. They produced well over one hundred songs of extremely varying quality. I’ve been listening to these over the past few days wondering when I’m allowed to write about them. Here’s the thing: I’ve written about Dylan’s live performances in the years that they occurred rather than in the years that they were released (and many of them haven’t been) on the assumption that some Dylan fans heard them at that time. But for things that were recorded in studio, I’ve waited until the year that they were actually released. The Times They Are A-Changin’ was recorded in the fall of 1963, but it was a January 1964 release, and that’s where I put it. So where do I put The Basement Tapes? They were recorded mostly in 1967, but no one outside of Dylan and The Band and whomever else was there would have heard them. They were circulating in 1968, because Rolling Stone reviewed them that year (it’s a review well worth taking the time to read). A very small portion of them became available as Great White Wonder in 1969.They were released, edited and over-dubbed, by Columbia in 1975. It’s a mess. I’m putting them here. Just not today. (Oh, and I’ll talk about the Columbia version in two months time). What I have been doing today is reading up on the history of the bootleg album. 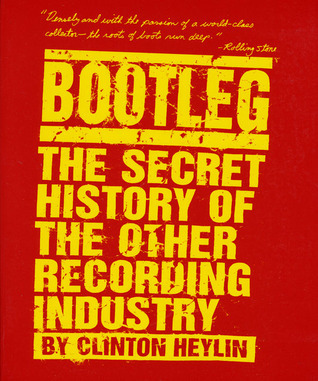 Clinton Heylin’s Bootleg: The Secret History of the Other Recording Industry is not a very good book. It’s confusingly written, with a lot of acronyms. Players in the industry are introduced with very little detail. It’s mostly an amalgamation of facts, poorly put together and somewhat scattershot. But it is an interesting read. Heylin is a big Dylan fan. He’s written a lot about him, including authoring the new booklet that accompanies The Complete Album Collection. If you look on ExpectingRain.com you can see that he’s a controversial figure, although I don’t know enough about the posters on that site to know who’s full of it (those people are professional Dylan fans, I’m still strictly amateur). Anyway, Heylin identifies the root of the entire bootleg industry with Dylan. Specifically with The Basement Tapes. The way he tells it, and it sounds convincing to me, Dylan upset the applecart with the release of John Wesley Harding. The break from Highway 61 Revisited and Blonde on Blonde was just too severe, and fans had trouble processing it. When word began to leak out that there were all kinds of recordings of Dylan and The Band with a sound that bridged the gap. Worse, word got out that the material might even be better than John Wesley Harding. The recordings for The Basement Tapes range in quality considerably. Some are absolutely dreadful, and they sound as if they were recorded on a reel to reel while someone holds the microphone under their armpit. Some sound roughly professional. Some of the songs are disastrous butcherings of classical folk songs by people who might have been too altered by alcohol or chemicals to know any better. Others are demos for songs that would be sold to other bands. It was this last group that circulated to agents and record companies as acetates, and then got ripped off. 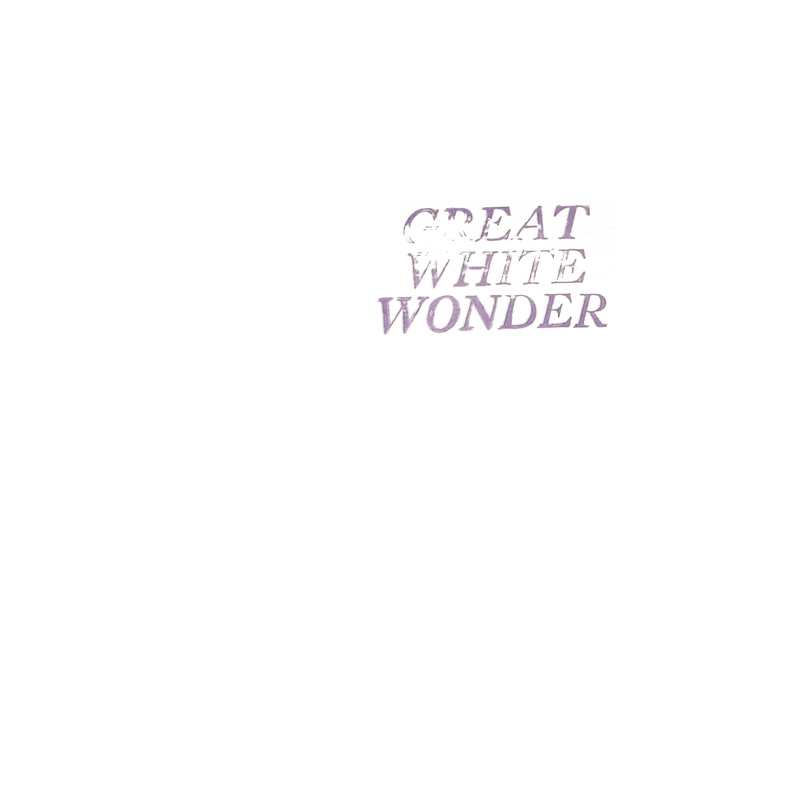 Great White Wonder, the first bootleg album, was a double album released in July 1969. It was a mix of items. Sides one and three were from the Minnesota Hotel Tape from December 1961. Side two had four studio outtakes and two Basement Tapes recordings, and side four was all Basement Tapes. It was a sensation, and it ignited an entire industry. I’ve only read about a third of Heylin’s book so far, and I’m hoping that it will provide me with some more answers. Among the things that I’ve learned so far is that the earliest bootlegging at the end of the 1960s and beginning of the 1970s focussed on the Big Three (Dylan, The Beatles, The Rolling Stones) before branching into Led Zeppelin and then other bands. That they existed in a quasi-legal limbo because of the weakness of copyright law at the time (that would change dramatically in 1976, when the copyright laws in the US were dramatically reformed). For instance, it is not entirely clear that in 1969 a recording of the Minnesota Hotel Tapes were illegal since most of the songs were in the public domain, and it was recorded before Dylan signed to Columbia. Live bootlegs, like the “Royal Albert Hall” show, became a big thing quickly. Bootleggers regularly ripped off other bootleggers, and Canadian bootleggers benefitted from even more lax copyright laws than the US, but had few pressing plants to work with. The whole thing is super-fascinating. I know that I’m going to get to the end of this book and a) wish that I knew more about this, and b) had more of these items, even as I know that the quality isn’t really there. Here’s a bootleg copy of “Nothing Was Delivered”. It sounds awful, but there is something about the crackling sound that makes it all that much more illicit, more appealing….